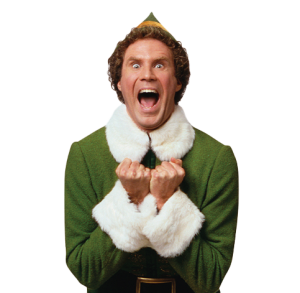 My birthday, and also the first day of 2018 that Christmas music was played through the speakers at my office. Why, you ask, most likely jaw-dropped and appalled at the audacity bomb I’ve just dropped? Because it was my birthday, and I could be merry and bright if I wanted to. Yeah, in a Buddy the Elf vs. The Grinch world, I’m definitely a Buddy. “What are you, crazy?” “Oh, here we go again.” “I’m sorry, sunshine, I just can’t do it. Give me at least until after Thanksgiving break”. The daily musings of a co-worker of mine – you could call her a ‘Grinch” type – as she would walk through the doors to hear Bing Crosby sweetly serenading me and the other Buddy’s in our office. After a couple of days of Spotify’s “Christmas Classics” and our boss man’s “Christmas Favorites” playlists, she started to come around. And her heart grew three sizes that day as she learned the true meaning of Christmas. Moral of the story: Always be a Buddy. No one ever died from too much holiday cheer. One of the classics. Remember watching it on repeat for 24 hours every Christmas Eve and never getting sick of it? Now you can watch it in real life. And with singing, no less. Charlotte’s ONLY outdoor ice skating rink. 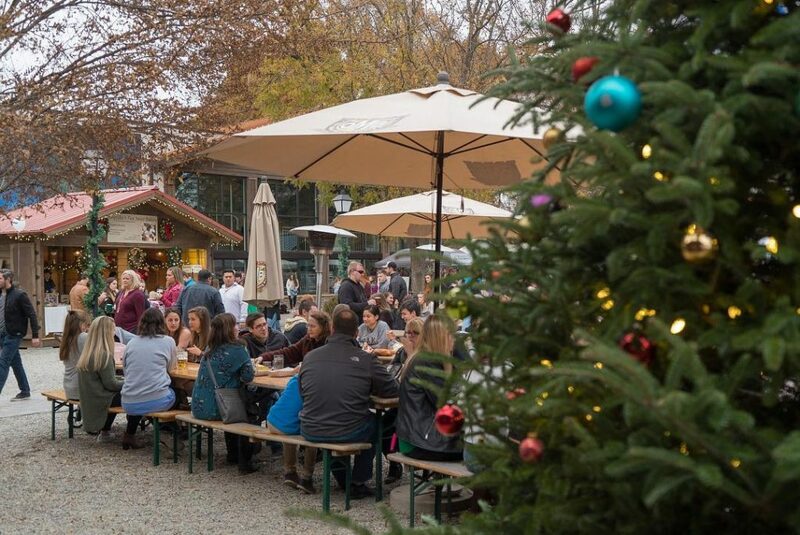 A German-inspired Christmas market with over 60 vendors, and LOTS of beer. 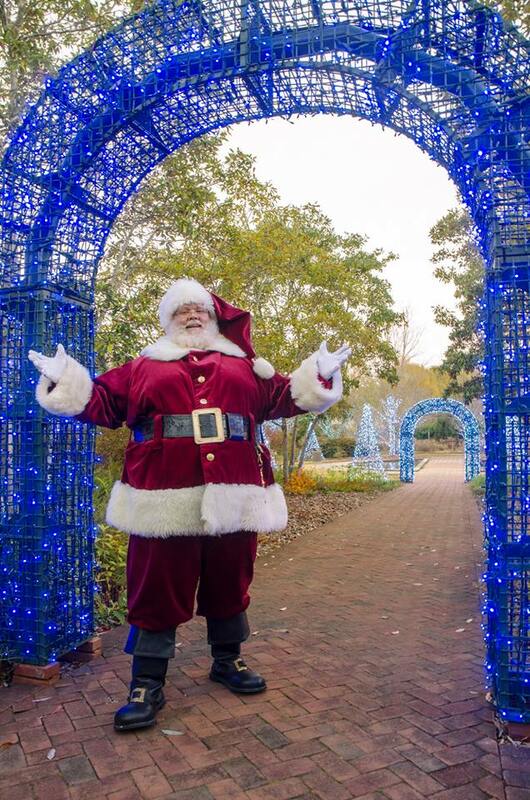 Santa is scheduled to appear on December 15 from 2-5pm. Open on various dates: Dec 1, Dec 7-8, Dec 15-16. Friday hours are 4-9pm and Saturday hours are 2-9pm. Drive-through light show with over 3.5 million lights, as well as a Christmas classics movie drive-through. Also to be included: Christmas village with a Ferris wheel, photos with Santa, food, games and fire pits for S’mores roasting and warming. Everything that is Christmas, you’ll find here, including festive displays and tons of lights, holiday shopping, crackling fires for warming and/or roasting marshmallows, warm beverages, model trains, plus live music, and more. A fun run for the family with fun prizes and hats, and free hot cocoa. Choose to be Santa, an Elf, Reindeer or Snowman. Voted one of the most fun and well-organized holiday crawls by Yelp 2017 – admission includes an ugly Christmas tee, koozie, and discounted themed drinks at various stops. Plus a DJ playing fun holiday music, professional photographers, and a registration party to get things started. One of the only holiday activities you can do without having to take the time to get dressed up and make the kids presentable. Come in your pjs and enjoy a 70-minute interactive train ride set to the music from the classic movie, with hot cocoa and cookies being served aboard the train as well as a few fun gifts along the way. Plus singing, dancing, and a reading of the book. 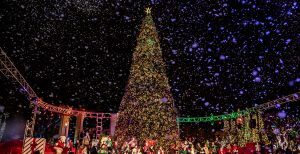 Over 5-million lights, a 70-foot tree, festive displays, plus live shows and performers throughout the park. There will also be fun holiday activities for the kids, holiday themed food and drinks, and up to 24 rides open. A fun gingerbread house competition with competitors ranging from kids to professionals. Something a little different from the usual light displays – a fun stroll through town to see these impressive works of art.